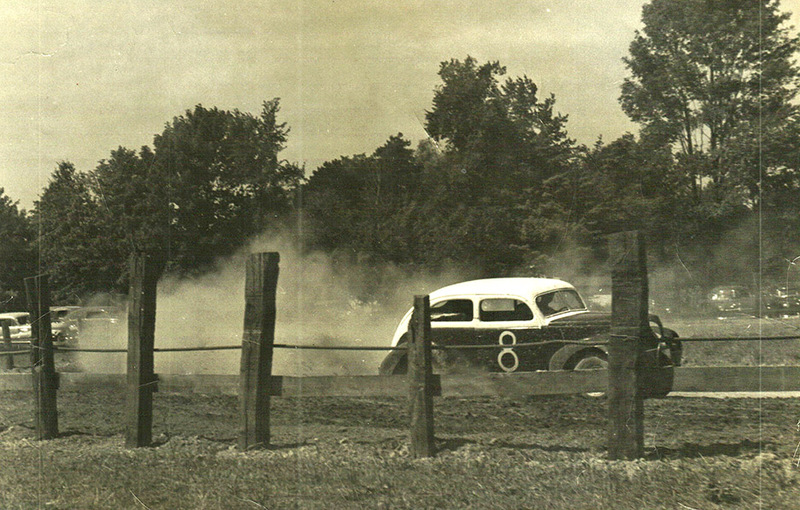 A race car speeds around the dirt track of the Chestnut Grove Raceway. Cora Arkkelin collection. On a muggy Sunday afternoon in the summer of 1951, a dust cloud rose to the west of The Strip and the thunder of V-8 engines gulping gasoline rippled through the village. The first heat of the auto racing season was under way at Chestnut Grove Speedway. The quarter-mile dirt track was built on property owned by Lewis Kopp, who, in 1940, purchased the 478-acre Chestnut Grove as an investment for his children. The brainchild of race car driver Wallace Arkkelin, the speedway was financed with $10,000 from two racing friends; one of whom backed out before construction got under way. Chestnut Grove Speedway midway through the 1952 season. It was a short-lived but fun venture. Closing the racetrack did not keep the Arkkelin family from driving. 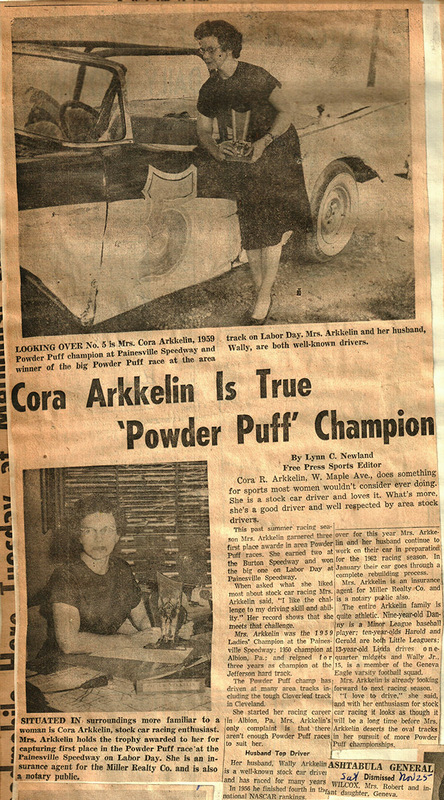 Cora went on to race in many powder puff events.